Having a furry friend in your house is the best thing in the world especially when it is a dog. They are the man’s best friend, and they love you more than themselves. Their loyalty is unshakable, and these four-legged family members indeed deserve a special place in our house and heart hence we must take care of them. Technological advancement is helping us big time for taking care of our beloved pets and also keeping track of them. There are some awesome gadgets for your dogs which will help you to keep them entertained as well keep an eye on their mischief as well. So let’s check out the list of cool tech gadgets that you can have for your dog. People who are always concerned about the health of dog, for them Fitbark is an ideal gadget. This gadget keeps a tab on the activity of your dog 24/7 and set health goals for it. The gadget can be attached to a collar of your dog, and it fits on dogs of all breeds. 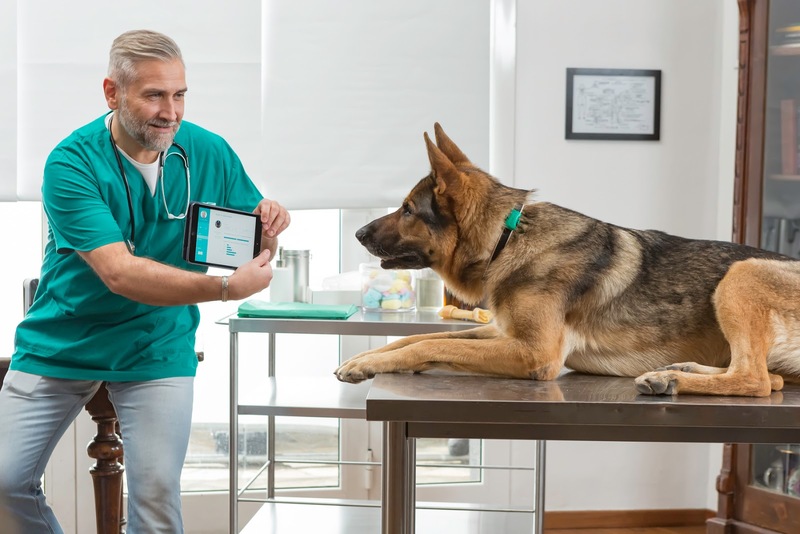 It detects the behavioral changes of your dog and gives you real-time update by the medium of supporting app that you can download on your smartphone. The design is rugged and waterproof which can withstand any rough conditions. The device comes in attractive colors and it helps in easy tracking of your dogs within a range of 30 meters. Its battery needs to be charged in every 14 days but there is no need to remove Fitbark from the collar to recharge it. Playtime is an important thing for your pooch to keep its mental and physical wellbeing. If you own a larger breed or dogs which are extremely active, then it becomes more critical that they receive sufficient exercise. 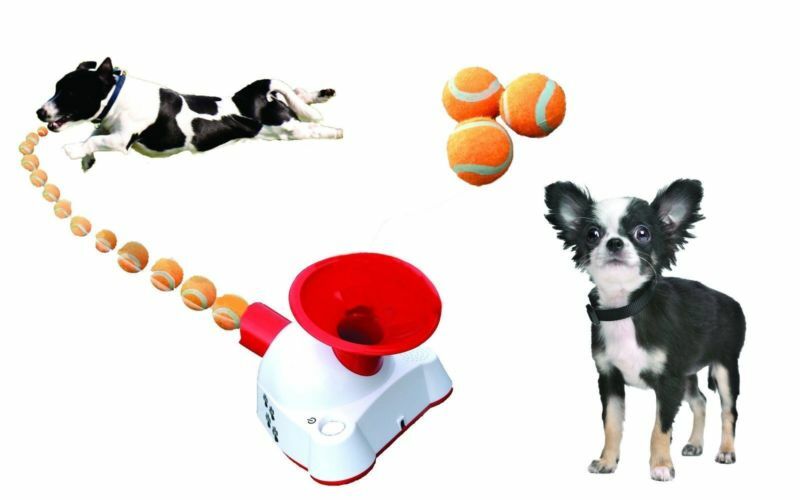 For that purpose, you can get a Gotcha Talking Automatic Dog Ball Thrower which is a perfect instrument to keep your dog entertained and give him work out as well. The device has a funnel in which you can drop the ball, and it will throw it automatically at a distance of 12 feet for your dog to catch. You can even train your dog to drop the ball in the funnel so he can play the game himself. It an excellent stimulation for your dog and it will keep the pooch active for a while. The gadget can run on both batteries as well as AC power. 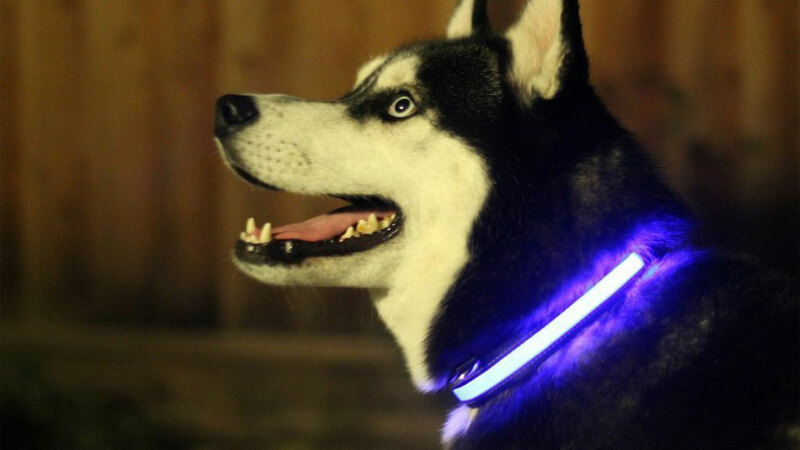 It is the coolest dog collar that you can buy for your dog. It is useful when you take the dog out for a stroll at night as its LED light glows in the darkness. This provides safety for your dog at night, and even if he runs to lose, you can easily trace him with the help of glowing collar. This decorative collar will look charming on your dog’s neck, and it runs on two button batteries. Foobler is an interesting gadget that every dog owner would like to have. 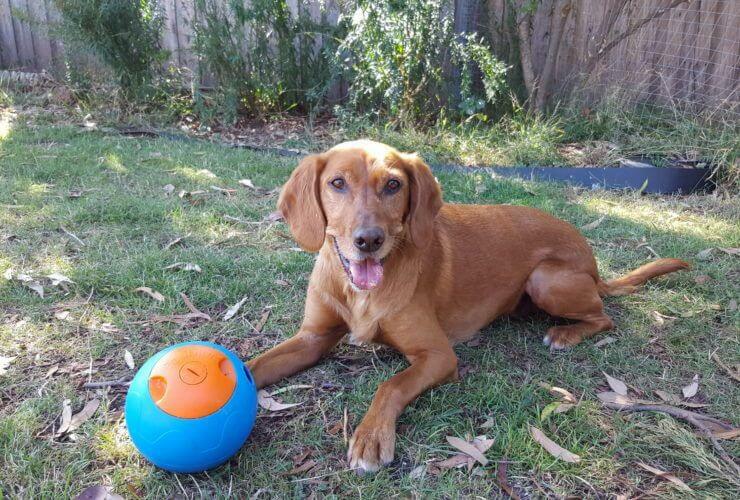 It is a smart toy that gives your dog a healthy playtime along with feeding him. 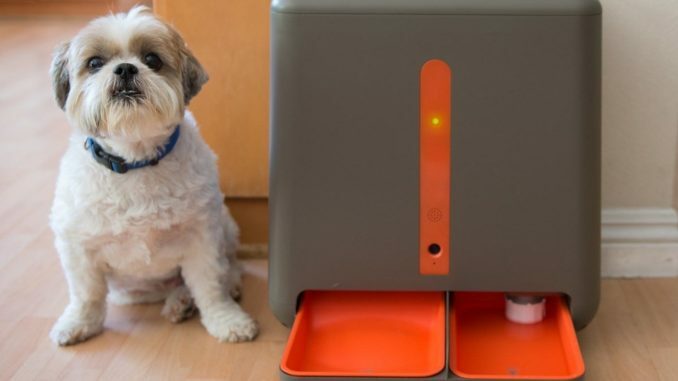 It automatically dispenses the feed all day long at regular intervals of 15/30/60/90 minutes after a chime of the bell which will keep the dog engaged all day long. It helps in nurturing the natural instincts of the dog and gives it ample of exercise too. The self-loading dispensing system liberates you from filling the ball repeatedly as its internal mechanism does the job. 2 AA batteries provide power to the ball, and you can load 6 types of different treats in its 6 pods. It is one of the high-tech pet gadgets that allows you to keep a watch on your pet’s activities even when you are away. 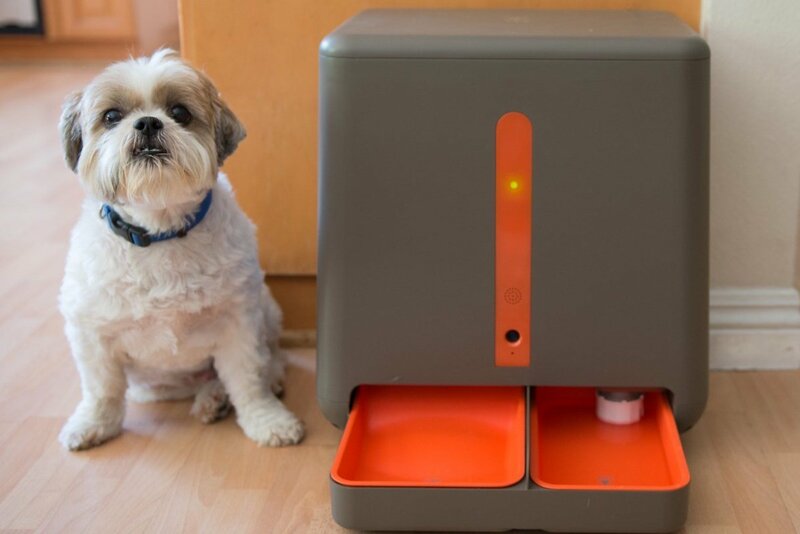 Like its name, the cubical shaped camera is an interactive device that allows you to talk and play with your dog by using your smartphone. It has an interactive laser toy which helps you to play with your dog and give him exercise. 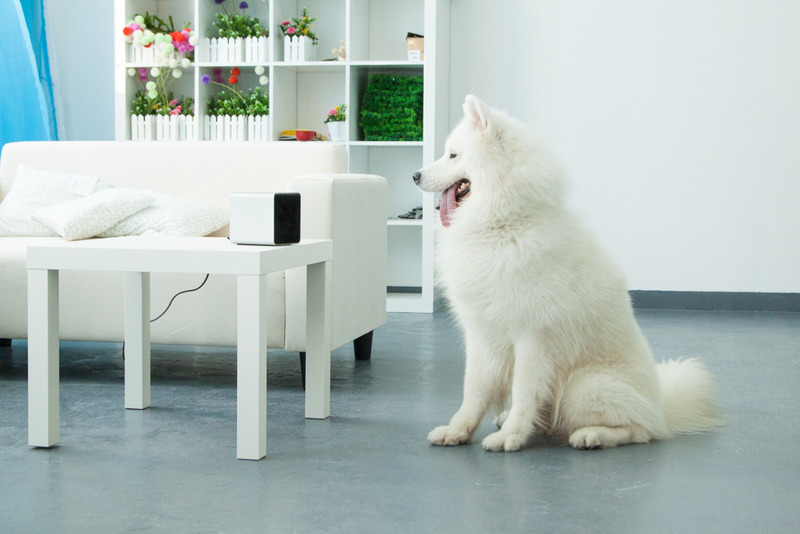 The two-way audio system lets you speak to the dogs and pacify them, especially those having separation anxiety issues. The beautiful design fits appropriately with your home interior, and you can even keep a tab on the house also with the help of this camera. Hair shedding is the biggest problem for any dog owner as they have to remove chunks of fur from every corner of the house while cleaning it. Shedding is a normal process for the dogs, but you can prevent it from spreading all across the home with the help of the Hair Fur remover. 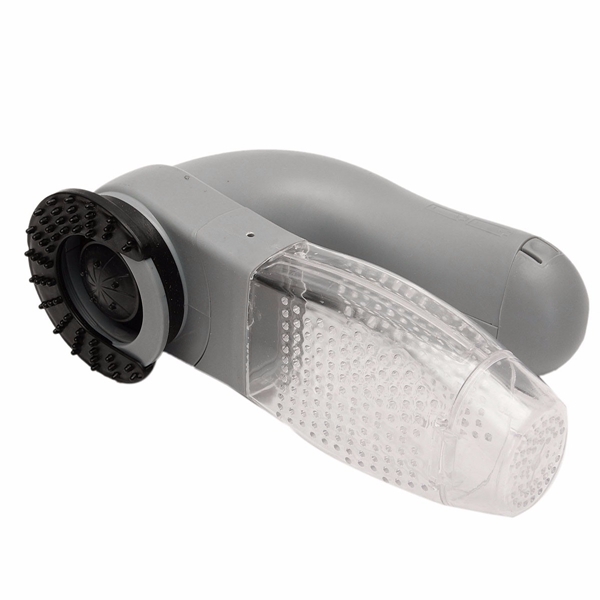 It is like a small portable vacuum cleaner which cleans the fur by sucking and storing them in the canister attached to it. The cleaner has a soft rubber head which gives the dog massage as well. The gadget works cordlessly by consuming power from 3 AA batteries, and this gadget is the most effective fur cleaner for your mutt. So, if you are having a dog in your house and finding it a little challenging to take care of them, then these electronic gadgets for pets will certainly help you to a great extent.